Surf is feeling the love this month, with a fresh new line-up of viral videos, hilarious clips and movie trailers. See what's in store on your favorite rideshare entertainment platform. The guys at Yes Theory teach us to say “yes!” to love! This Valentine’s season watch heartwarming stories like "Thomas Asking His Crush to Fly to Paris for a Dream Date." Get inspired by challenges like "Asking Strangers to Tell Their Crushes They Like Them." Or see the wild side of love with a classic challenge, "Using Tinder to Live in Europe FOR FREE!" You can always count on Rhett and Link for fun, crazy and sometimes gross-- but still hilarious videos. Get ready for some Valentine’s Day themed content you can get in the mood for. Eating animal hearts? 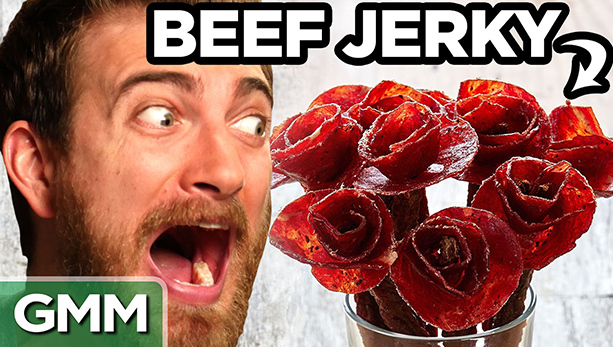 Beef jerky bouquets? We're sure there’s something more romantic, but hey at least it’s them eating these wacky concoctions and not you! Comedians have a lot to teach us about love. In this season’s lineup of Stand Up, comedian Josh Wolf explains how true love is just helping your partner get out of a restaurant after they pooped their pants. Still looking for love? Adam Devine gives the ladies some tips on how to approach men during the new tradition of dudes night out. Watch the funniest, craziest, weirdest videos on the internet in the Chive TV channel. Chive TV has your favorite viral clips, like extreme outdoor sports, epic fails in (we recommend "Oops You Did It Again") and even pint-sized fails in "Kids Can Bounce Back." Have you ever wondered if your pet hates your taste in music? 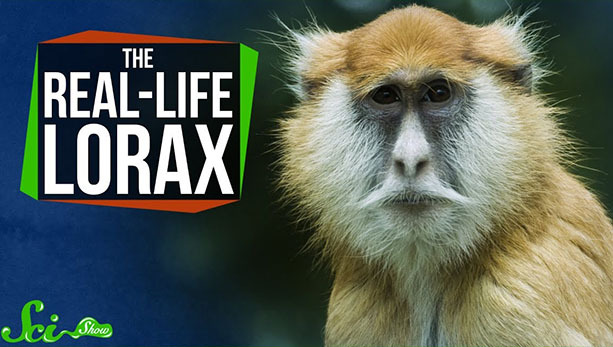 Would you believe me if I told you “The Lorax” was a real monkey? Well, you can count on SciShow to answer these and other burning questions. Learn something new while you get to your next destination and watch the SciShow! A new month means a new line-up of movie trailers coming to a theatre near you. We have previews for some of the most anticipated films of the year. Get a sneak peek into the making of a legend in the Elton John biopic, "Rocketman". Plus, every 90s kid will finally see their dreams come true with trailers for live-action movies, "Detective Pikachu" and "The Lion King." Looking for some happiness in this crazy world? Check out the Cute Pets channel! These super cute compilations are sure to make you smile. Whether you like cats, dogs, goats or kangaroos, we’ve practically included the entire zoo in this month's selection. Which videos are you going to watch first? Follow Surf on Instagram and let us know!